Every game you play connects you with new people. There’s also private, group and public chat rooms built into every part of Plato. 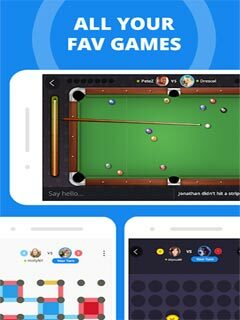 Jump into 20+ of your all time favorite games and play live against people from all across the world. No bots! Take on your friends or any of over 4,000,000 other people playing on Plato. Show off your ranking as you climb the leaderboards and level up. Plato is built by the original creators of Yahoo! Games. We'd love to hear from you! If you have any suggestions, please reach out to us at hello@platoapp.com. Werewolf (Mafia), Pool (8 Ball & 9 Ball), Zombie! (like Old Maid) Ocho (like Crazy 8), Bankroll, Table Soccer, 4 in a Row (like Connect 4), Sea Battle (like Battleship), Draw Together, Rock Card (like Cards Against Humanity), Dominoes, Dice Party (like Yahtzee), Literati, Ludo (like Sorry! ), Chess, Backgammon, Gin Rummy, Spades, Hearts, Checkers, and Dots & Boxes. New games get added each month, too. 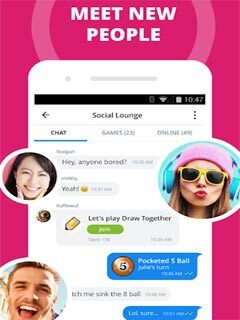 People play and chat together on Plato from all over the world including: United States, Canada, United Kingdom, France, Germany, Saudi Arabia, Indonesia, Thailand, Malaysia, & Vietnam.